Mithracia libinioides is an extremely rare little crab. 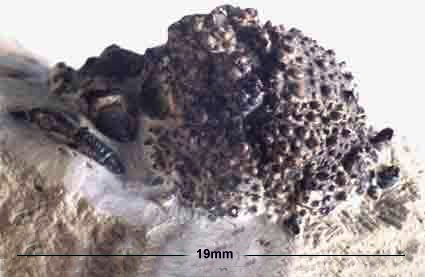 They can be found amongst the pyrite accumulations on the beach. Only four have been found in the last five years to the best of my knowledge, two of which are figured below. The lower specimen is the only one ever found on a septarian cement stone. 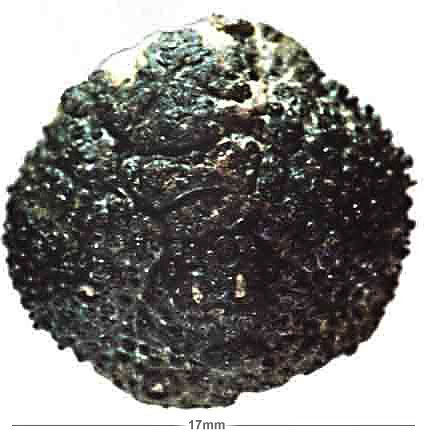 Several Glyphithreus wetherelli specimens were also scattered around the nodule.